Collège du Léman is an international college preparatory school located in Geneva, Switzerland and it offers individual growth, academic excellence and life-long learning to students from all over the world. 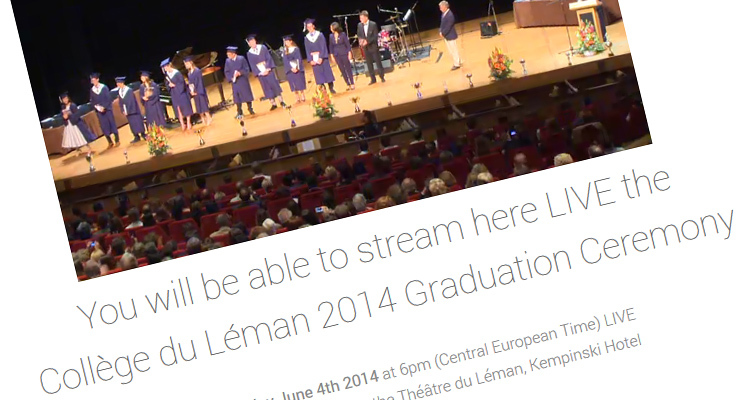 The institution’s Graduation Ceremony live on their website recently has been broadcasted by globalvision. Through this video streaming service, all family members of students who live abroad can have a chance to attend and follow this special event online. globalvision offers a top-of-the-line service for video streaming/webcast and production, please contact us for further information or assistance.